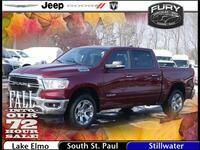 Truck shoppers looking for a new high-end full-size, light-duty vehicle have plenty of options on the market. 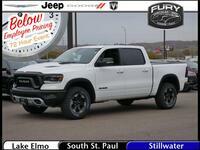 In this 2017 Ram 1500 vs 2017 Chevy Silverado 1500 comparison, we are going to look at two of the heavy hitters in this segment to see which one will be the best fit. Both of these trucks come in a variety of body styles and trim levels, meaning that whether truck owners are looking for a reliable pickup for the worksite, or a family hauler that can do double duty trailering on weekends, there are viable options. The 2017 Ram 1500 offers several advantages. 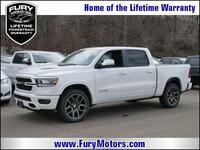 For one, it offers a lower starting MSRP. That means more money remaining in the budget for other family necessities. With that lower up-front cost, the new Ram 1500 also offers a more powerful base engine than the 2017 Chevy Silverado 1500. The 3.6-liter V6 that comes standard in the 2017 Ram 1500 delivers 305 horsepower and 269 pound-feet of torque, while the base 4.3-liter on the 2017 Silverado offers just 285 horsepower. 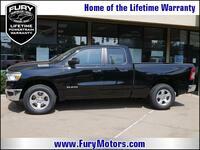 This allows the Ram to have a slight advantages over the Chevy truck in max towing from the get-go. More and more technology is something that even the most practical trucks need to offer, and both of the trucks in this comparison offer touchscreen systems that allow drivers to easily control the audio and vehicle information systems. The 2017 Chevy Silverado is available with a seven-inch or eight-inch color touchscreen system that runs on the Chevrolet MyLink program. The 2017 Ram 1500 is available with the 8.4-inch Uconnect system. 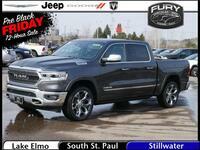 Both of the vehicles in this 2017 Ram 1500 vs 2017 Chevy Silverado 1500 comparison also offers advanced smartphone connectivity including Bluetooth integration and an available Wi-Fi hotspot. Another huge advantages that the 2017 Ram 1500 brings to the light-duty truck market is the availability of an advanced diesel engine that can deliver premium towing, hauling, and fuel efficiency. 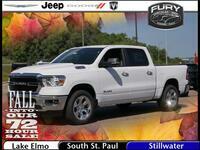 The turbocharged 3.0-liter EcoDiesel V6 on the Ram 1500 offers 240 horsepower and a whooping 420 pound-feet of torque. When properly equipped this engine can tow up to 9,210 pounds. 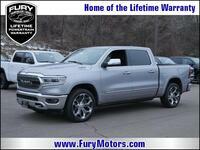 It also offers up to 21 mpg in city driving and 29 mpg on the highway when outfitted in the 2017 Ram 1500 HFE trim. The 2017 Chevy Silverado 1500 is not available with a diesel engine option. 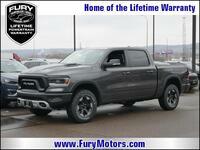 For more information on this comparison, or to test drive the 2017 Ram 1500 in Lake Elmo MN, contact a member of the Fury Ram Truck Center team today.